Wolf Commercial Real Estate, a leading South Jersey commercial real estate brokerage firm with expertise in Southern New Jersey commercial real estate listings and services, is pleased to offer brand new South Jersey retail space for lease at 121 Berkley Road Mount Royal NJ. This South Jersey retail building for lease is currently under construction with plans for an early spring opening. This Southern New Jersey retail space for lease presents a phenomenal opportunity for retailers to get in on the ground floor of a new retail center that will serve a growing community in Gloucester County. This South Jersey retail building for lease at 121 Berkley Road Mount Royal NJ features various retail spaces ranging in size from 1,967 square feet to 18,000 square feet. This new retail space in Southern New Jersey is the ideal location for a restaurant, bar or pub, clothing boutique, fitness center, salon, yoga studio, retail outlet, and many other potential uses. 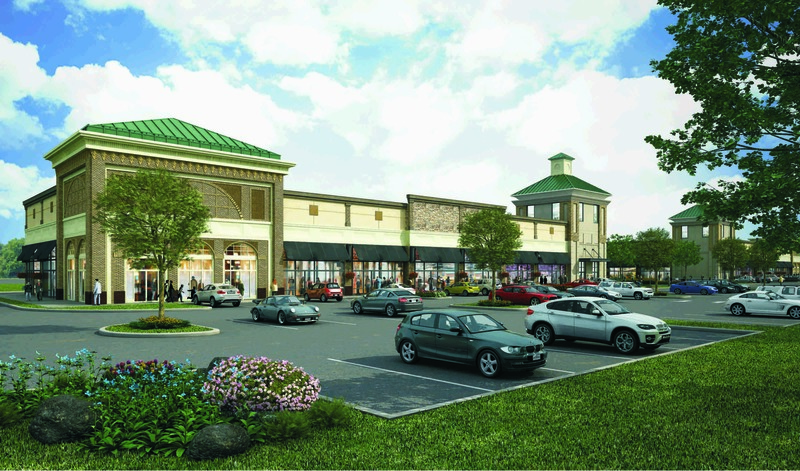 The asking rate for this new retail space in South Jersey is $15.00-$17.00 NNN. This South Jersey retail building for lease is available for immediate occupancy. This South Jersey retail space for lease at 121 Berkley Road Mount Royal NJ will be available when construction is completed, estimated to be early March 2015. This Southern New Jersey retail space for lease is being offered through Wolf Commercial Real Estate, a South Jersey commercial real estate broker that specializes in Southern New Jersey commercial real estate listings and services. This South Jersey retail building for lease is located in an area that has been approved for 120 townhomes and a senior living facility. This new retail space in Southern New Jersey at 121 Berkley Road Mount Royal NJ will be highly visible with frontage to the townhomes being built by Ryan Homes. There is both building and pylon signage available at this Southern New Jersey retail space for lease. This new retail space in South Jersey is situated just one mile from I-295, providing convenient north-south access. This South Jersey retail space for lease is located in close proximity to many amenities, including Shop Rite, restaurants, a workout facility and more. Nearly 10,000 vehicles drive through the intersection of Berkley Road and Haines Avenue near this South Jersey retail building for lease. Parking is abundant at this new retail space in Southern New Jersey at 121 Berkley Road Mount Royal NJ. More than 78,000 people reside within a five-mile radius of this new retail space in South Jersey that is available through Wolf Commercial Real Estate, a South Jersey commercial real estate brokerage firm that specializes in Southern New Jersey commercial real estate listings and services. The average household income in the same area near this Southern New Jersey retail space for lease is nearly $85,000. For more information about this South Jersey retail space for lease at 121 Berkley Road Mount Royal NJ or about any other South Jersey commercial properties for sale or lease, please contact Christopher Henderson (856-857-6337; chris.henderson@wolfcre.com) at Wolf Commercial Real Estate, a South Jersey commercial real estate broker.